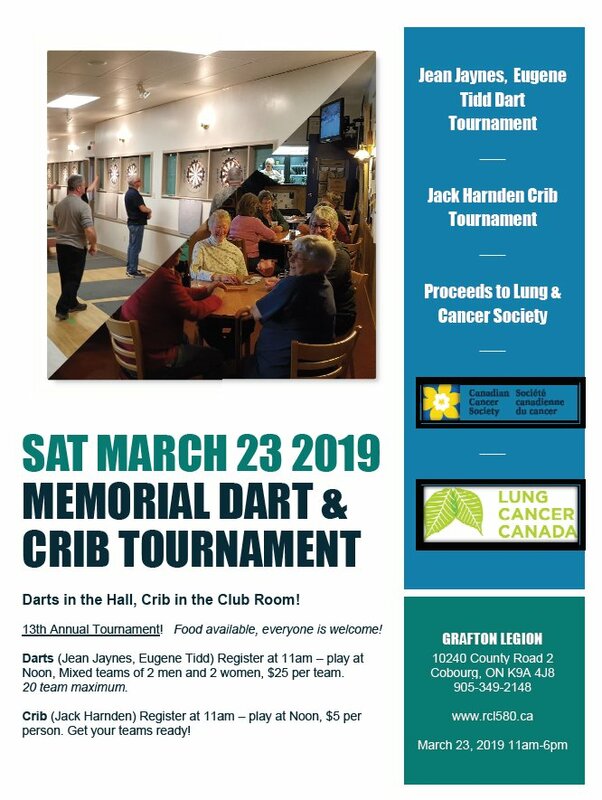 Saturday March 23, 2019, 13th Annual Jaynes/Tidd/Harnden Memorial Dart & Crib Tournament. Cribbage in the Club Room and Darts in the Hall. Food available, everyone is welcome!